Sumit Pundir is a marketing professional having great experience in business strategies and business generation. 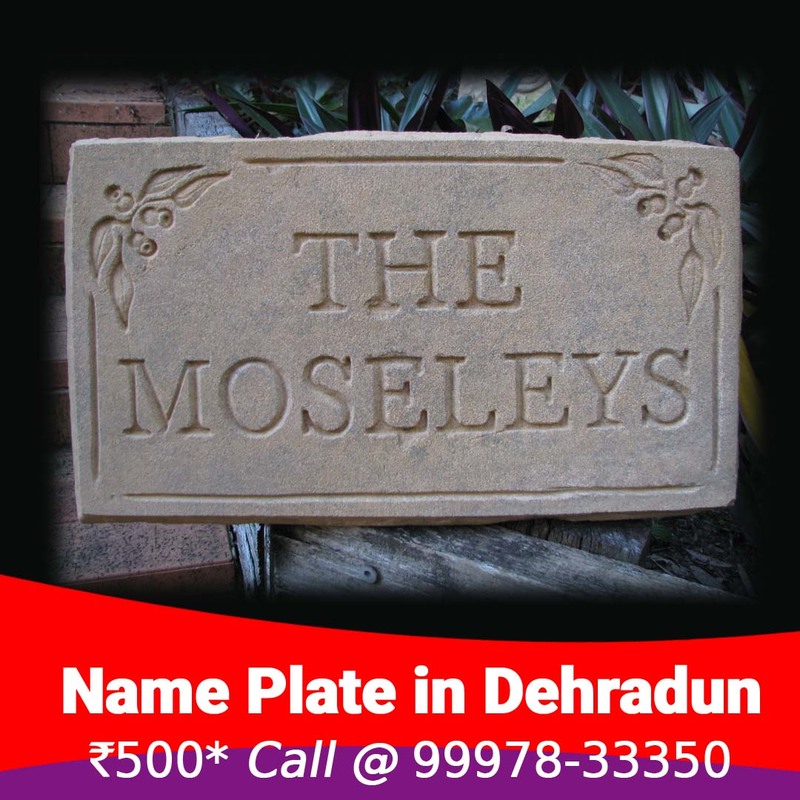 Just two days back, we got an opportunity to work with Dehradun’s huge property builder. Job was not much bigger but we took a bit of Seriously. He had a board that was not working properly. There was a problem with power supply, which we immediately changed. 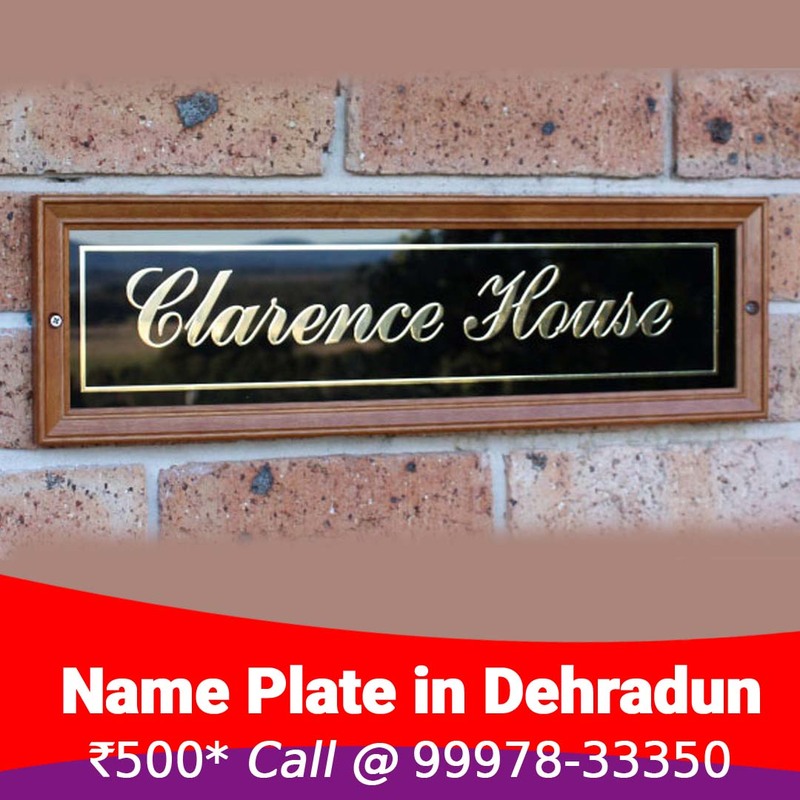 Now if there is a sign board in your office that is not shining properly or if there is any other problem, then we can visit you because in this world of competition your sings should shine property. 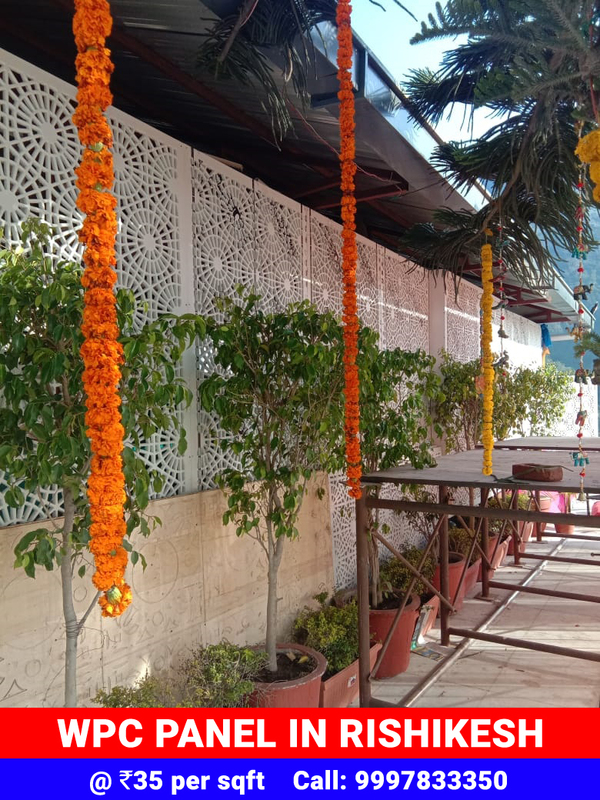 We got an opportunity to work with an architect and we fulfilled her requirement in a satisfactory way. 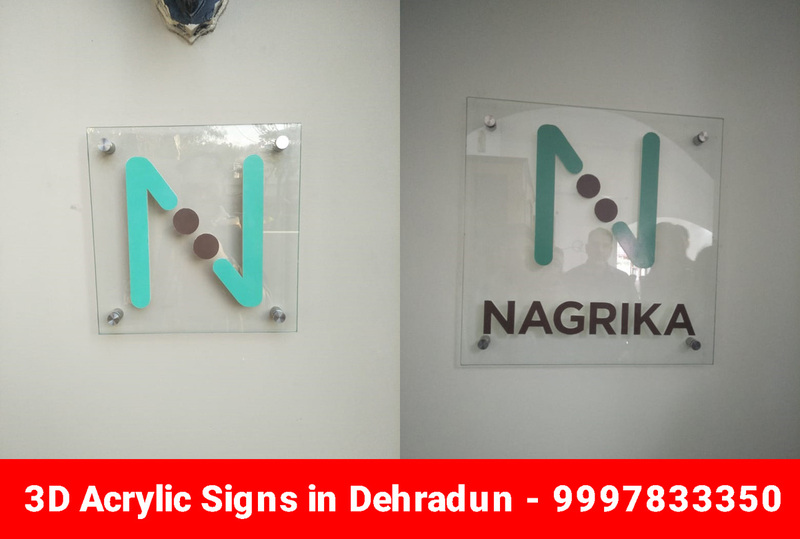 Ms. Kritika Jain is working for an architecture firm Nagrika located on Rajpur Road, Dehradun. She came to our office for some corporate branding work. We gave them 3 options, the way we can place their signs/logos on the wall. Please check the image below. Option 1: Matte Finish Acrylic Logo. N Sign is 8mm Thicker and Text is 4mm thicker. Directly placed on wall. Option 2: This design has been raised from the wall a little. Which has been placed with the help of the Studds. Option 3: In this we have put logos above the glass, which is 6mm thicker and transparent. Client choose option 3 and wanted design to be ready within 2 days. 3D Designs can not be completed because of the Duco Paint used in it, so we suggest her to paste the vinyl sticker on the front with the same color and use white acrylic. We reduced a little thickness so that it did not look more white from the sides. Below you can see the image of final installed letters. This was the final material places with studds and glass used was transparent and 6mm thicker. Letters were 6mm too. It was great to work with Ms. Kritika Jain, a very fine architect designer. 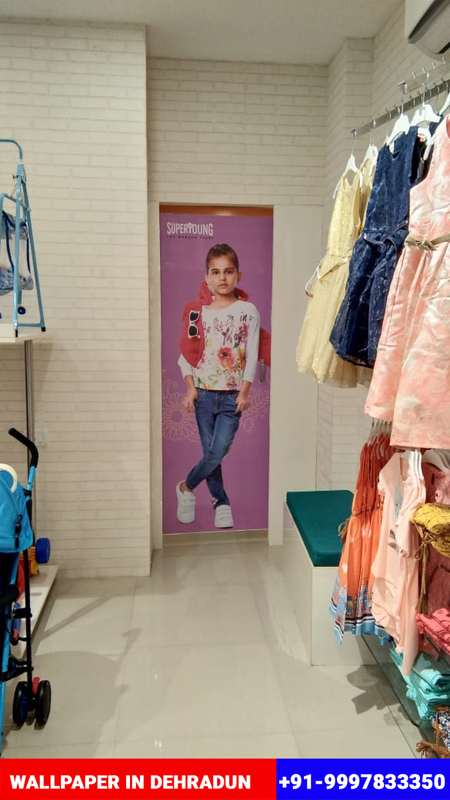 We charged INR 7,000 to her for this job. Logos sizes were 18×18 in and 12×12 inch. If you are looking for the same services kindly contact us. 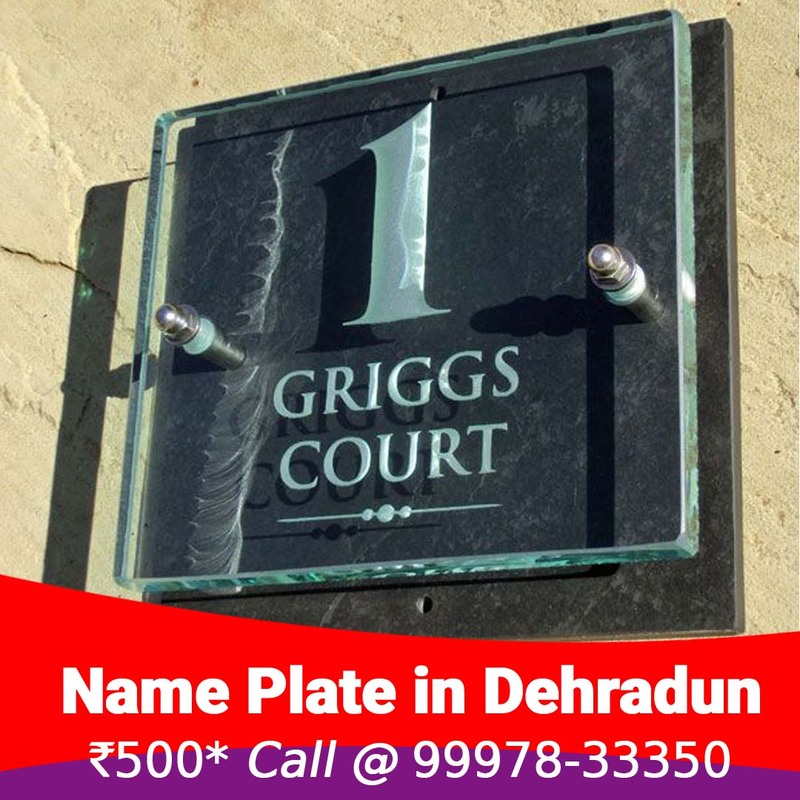 This work has been done for the launch of a complex which is in Jogiwala, although seeing the design, you may find the work seem normal, but there is a special thing in it that the letterer in it has also embossed. In the image below, you can see that the Ohm Sign we have designed a little better way. 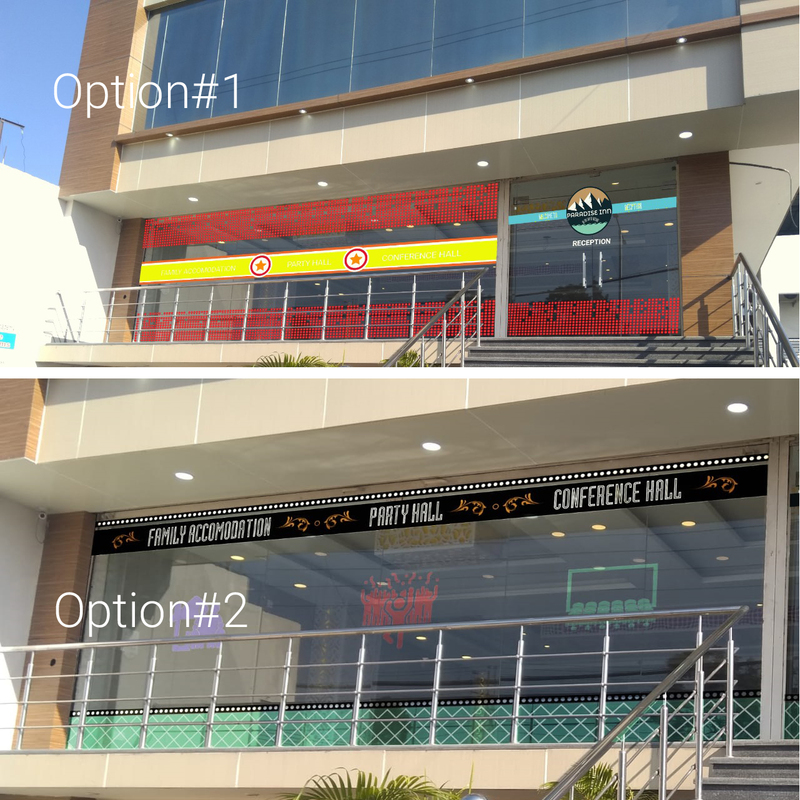 We have designed these boards for Jogiwala Based Complex. We have used Alex base and acrylic letters with Samsung brand LEDs inside. Logo and Om sign in 8mm embossed acrylic in the same color. All other letters is 4mm embossed with Alex material. They did not have logo so we redesigned it. 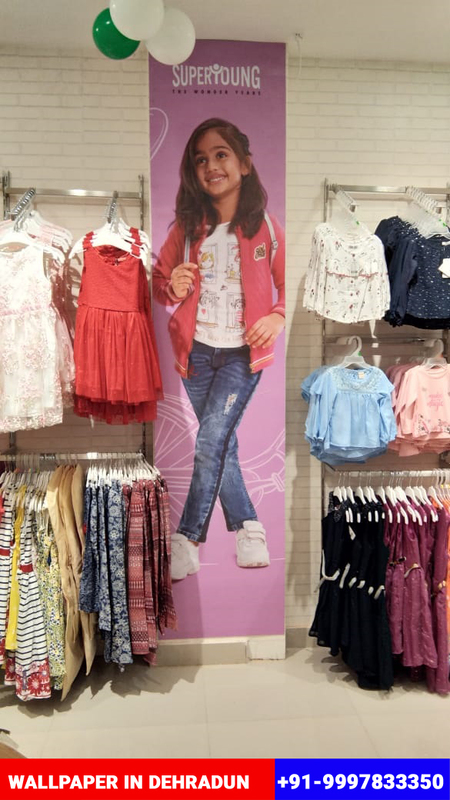 Costing was INR 15,500 + taxes*. 10×4 Alex base in Red color. Ashirwad is 8mm embossed with Acrylic material and Samsung LED light inside. Costing was INR 20,000 + taxes*. Working with the people connected with technology has different fun. This work was something that was done manually and the heart became happy after work. 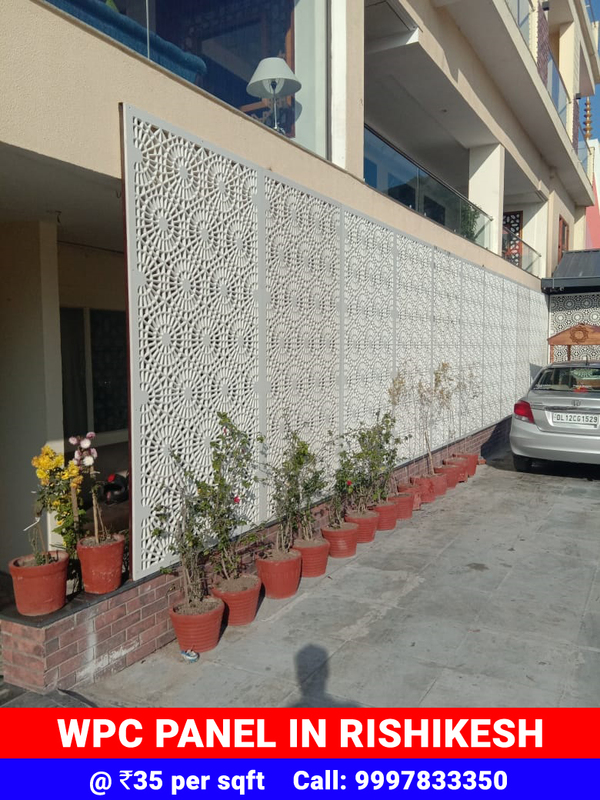 Nishank ji was managing this project on behalf of the company. He has a good taste of design. Job was small, branding above a glass was required, sticker was to be installed. The company’s guidelines were to follow and material was also to be used of the best quality. There was no time line in this work, so we also happily planned the job. In this the client had a sample that was to be copied there. The following images are given as to how it looked after the job was installed. 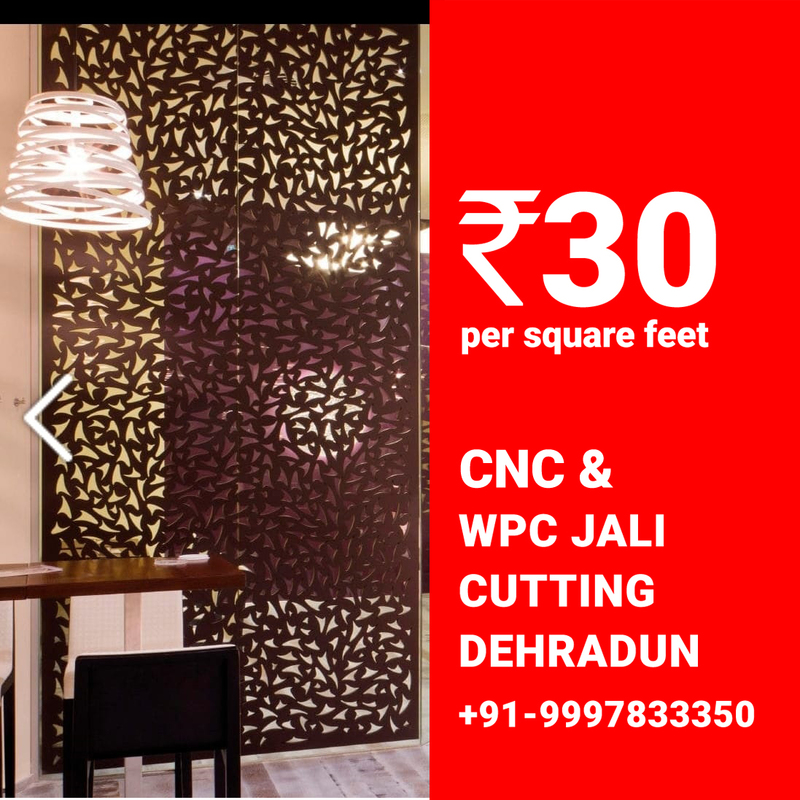 In this we charge from the client for 85 rupees per square feet. This vinyl has the material of the LG company that was specially arranged from Delhi. 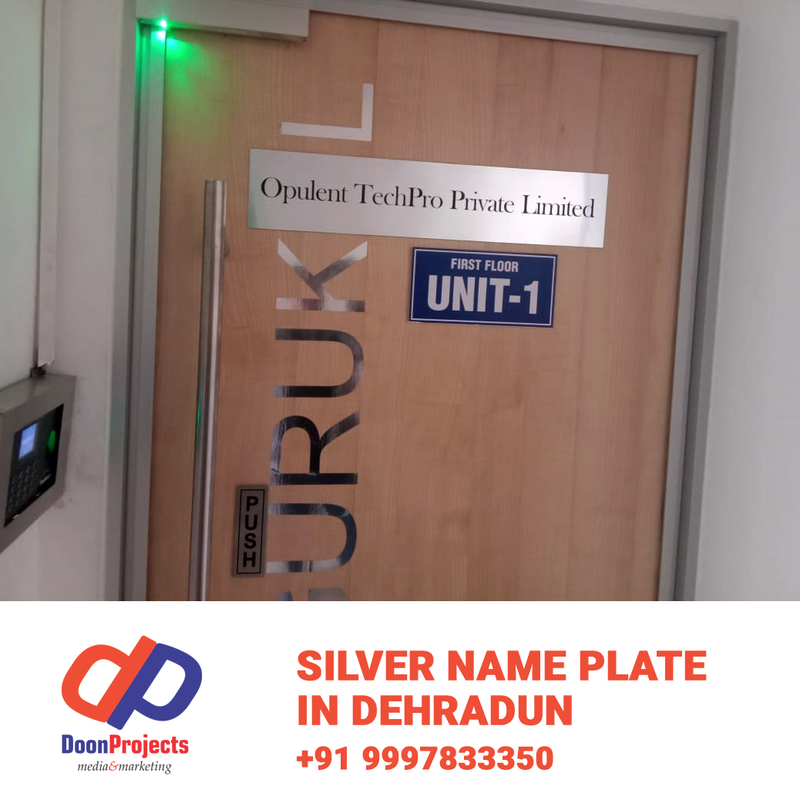 There was also a small name plate work. In this we charged a 15 rupees per square inch. 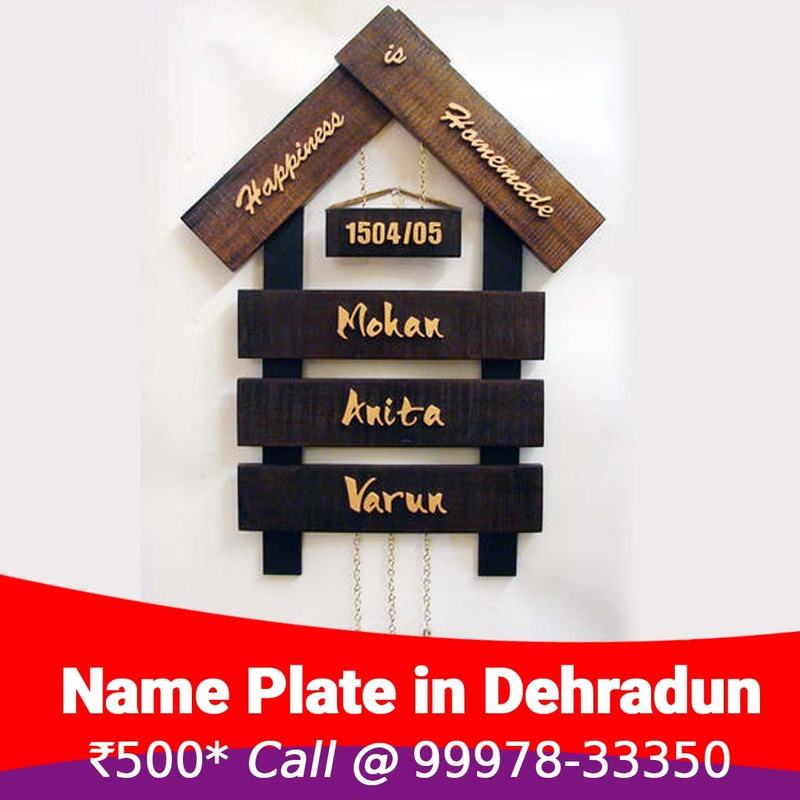 Following are the images of name plates. 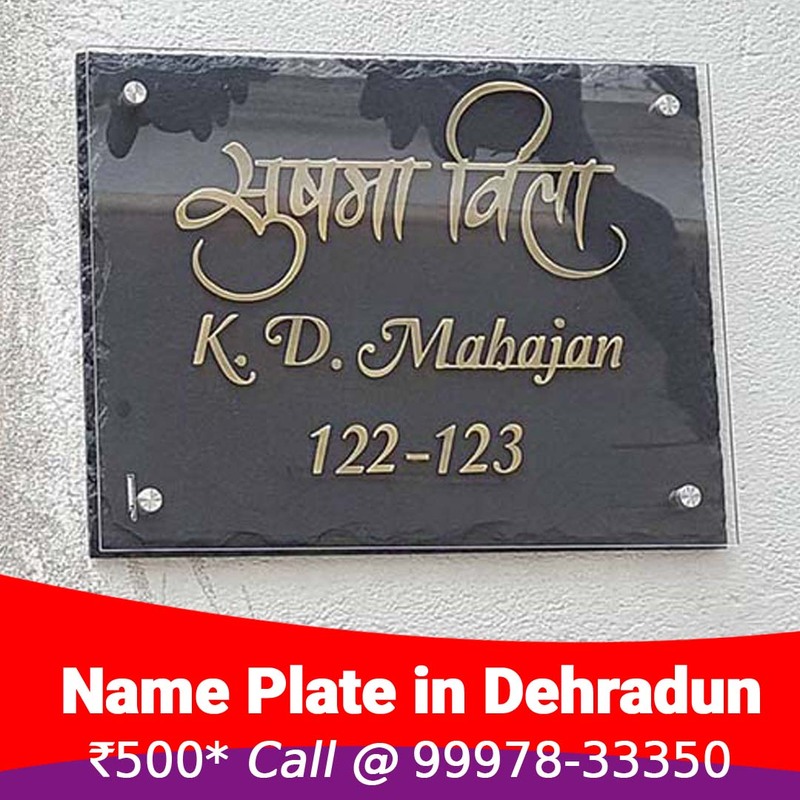 The name plate quality was excellent, it was engraved on top of the mattalic sheet. The work was small but we give importance to every work. It had more than 250 square feet of total work. In this, Circle made us slightly larger so that it is cleaned manually and pasted. 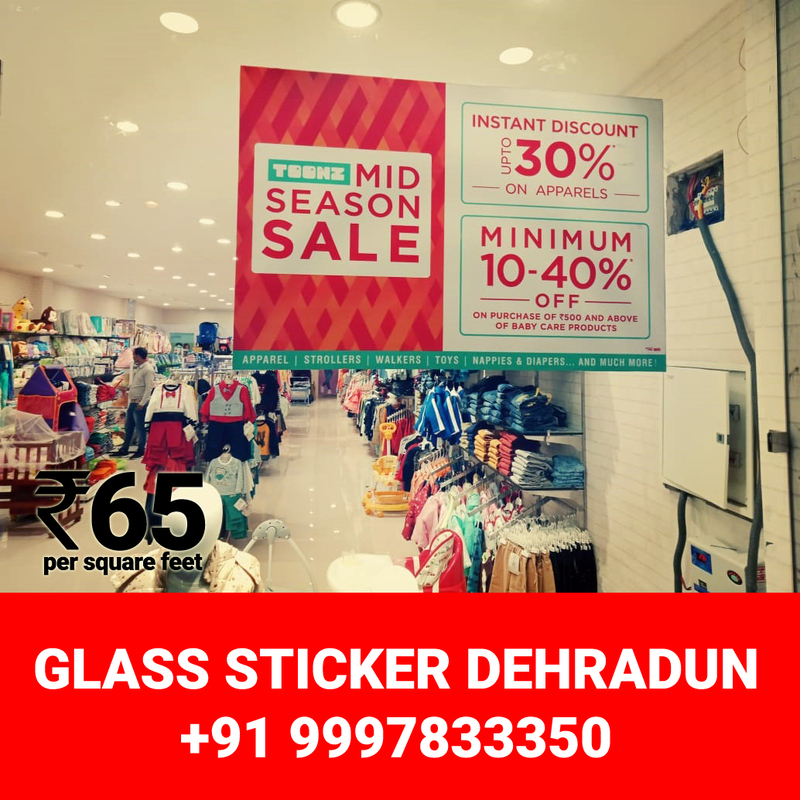 If you are also looking for any kind of transparent, opaque, frosted film, blinds glass stickers then you can contact us. 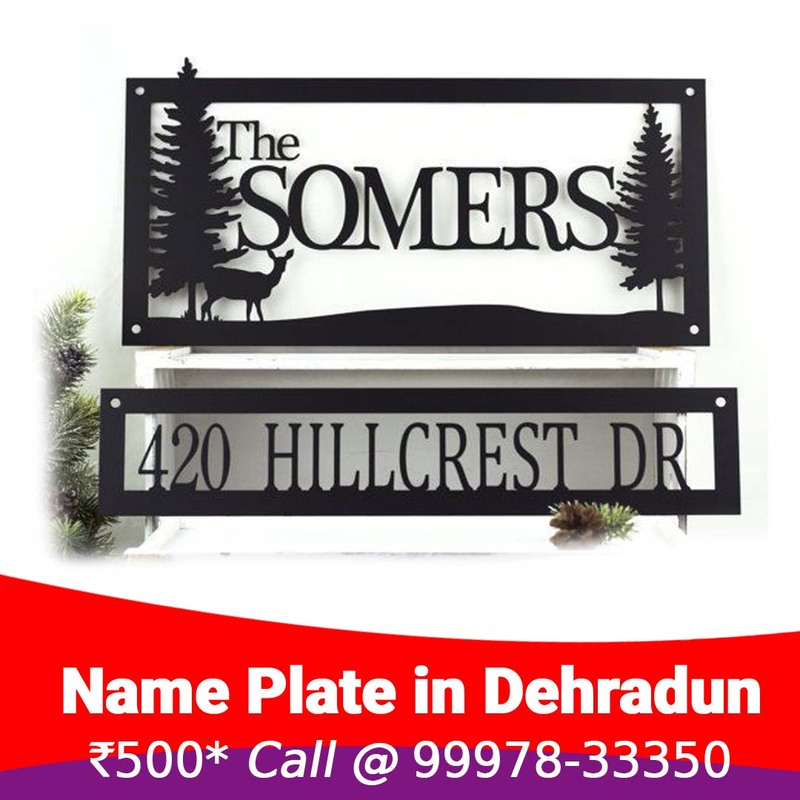 We have been making mandir, facades, front decors, doors and many more beautiful things using our 3d engraving technique in Dehradun. Our latest works are attached below. 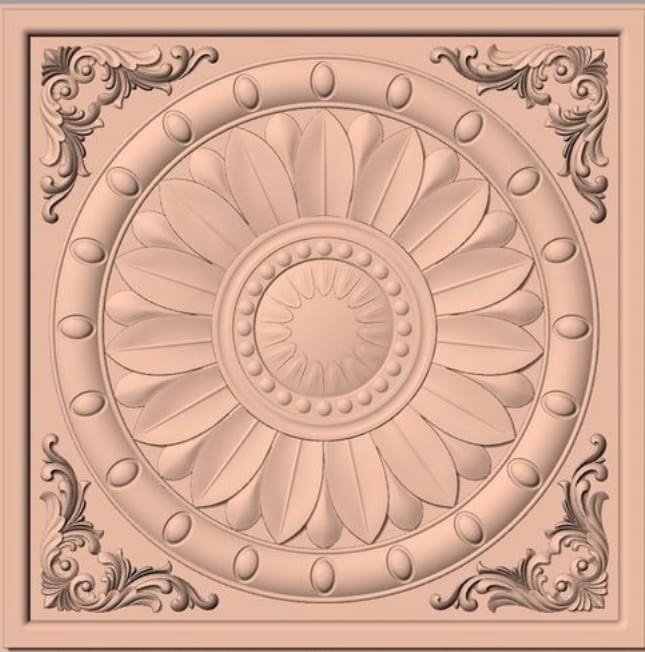 We have to create 3D File for Wooden Engraving work. This is just an example how this file looks. 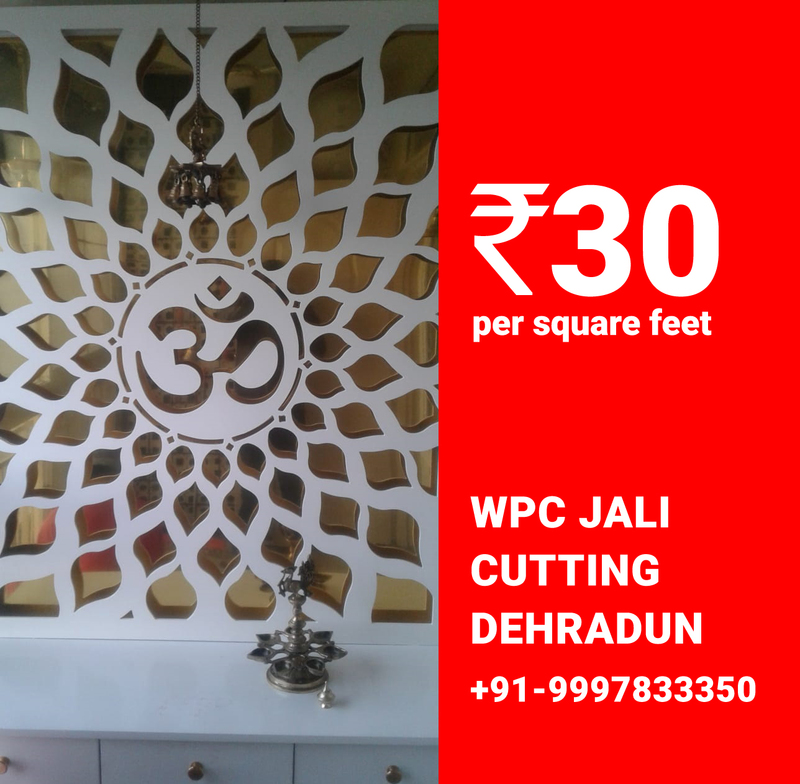 Best Quality jali cutting for a Reputed Major from Saharanpur. The color of the CNC material is brown, after which you can make any color on it. In this work we painted with dark brown Duco Paint. The cost is about 20 to 30 square feet of color separately. We have a great deal of temple design. 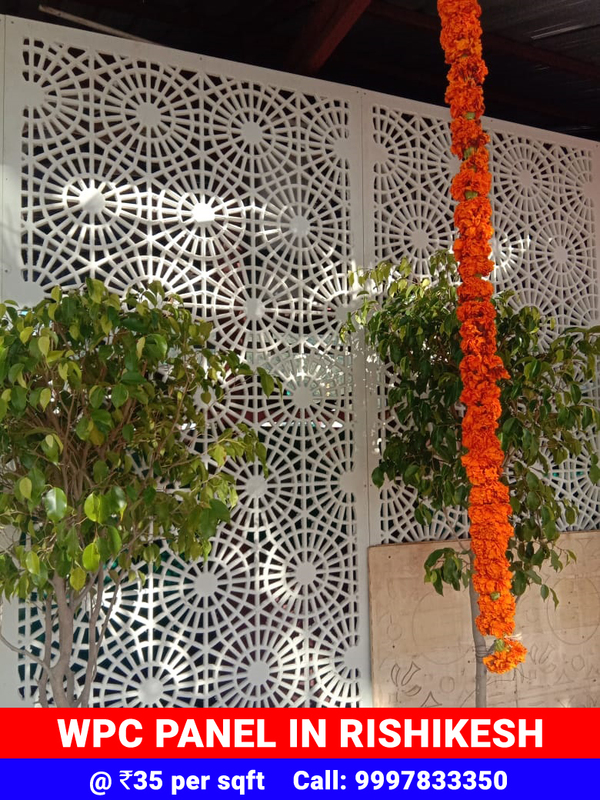 Especially in this temple design we have used the best qua material. In this, the 12-millimeter board has been cut very neatly. After that we have used the lead lights behind it by putting the sheet of acrylic on the back. From there light light appears on the outside. The client has liked this work very much. She is very happy. 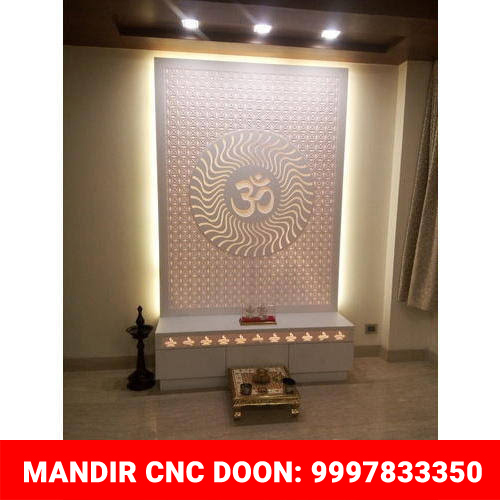 In this Om design manger, we have used the 18 mm CNC board, which is painted with white color later, our designer has created a very nice design which looks very attractive in the final output. The technique of engraving an image in end-grained hardwoods for relief printing is called wood engraving. We have latest machines for wood engraving work. We can bring your imagination to your furniture exactly as you thought. The biggest rallow in this is that of our experienced artisans and after that we have all the latest equipment as we can easily do more complicated work with cleanliness. 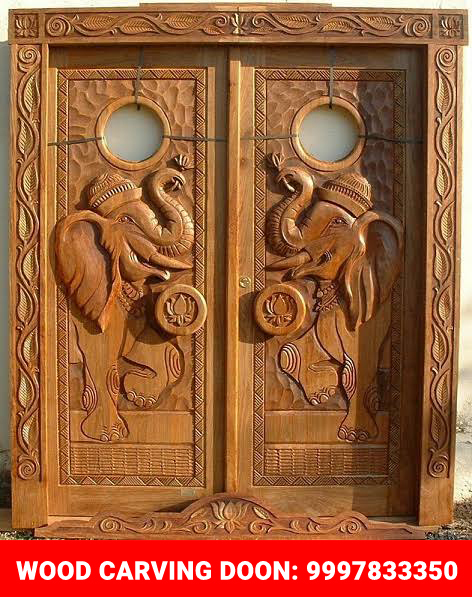 Most of our craftsmen are from Saharanpur for this work. 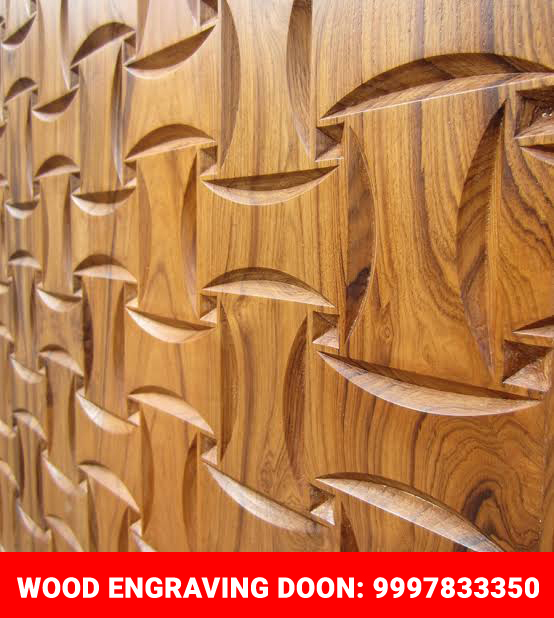 If you are also looking for any kind of cnc, wpc or wooden design then you can contact us. 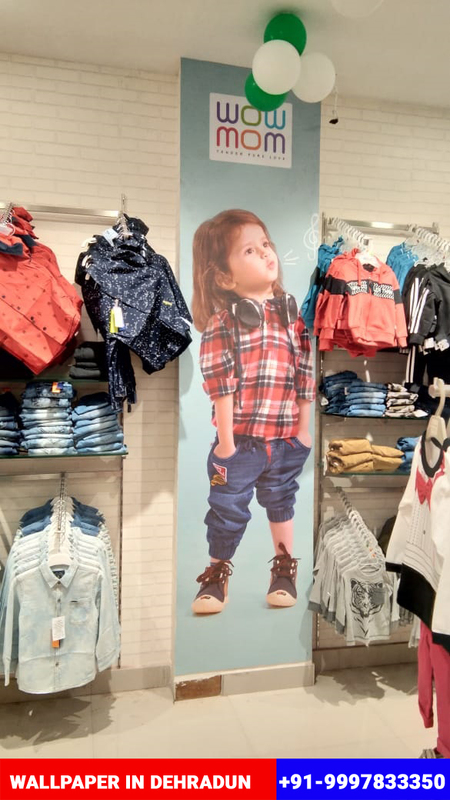 Well, we have done a lot of work on Rajpur road but the branding of this store has taken place at a different level. The LED board installed in it has a chrome finish on the sides, in which the reflectors have been used to increase the brightness of the light from inside. 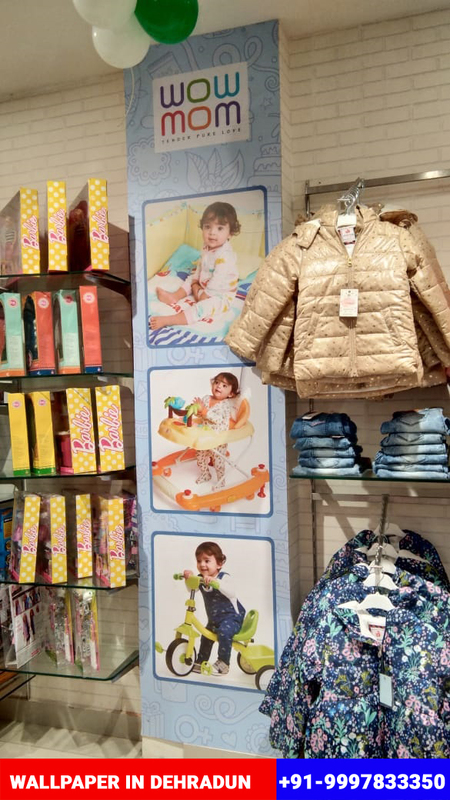 In this we had only 3 days to do the job in which we completed the LED Sign Board and the entire store branding. Because the showroom was inaugurated the next day. On the left you can see our glow sign work. It costs upto 190 Rs. per square feet if we provide you best material. 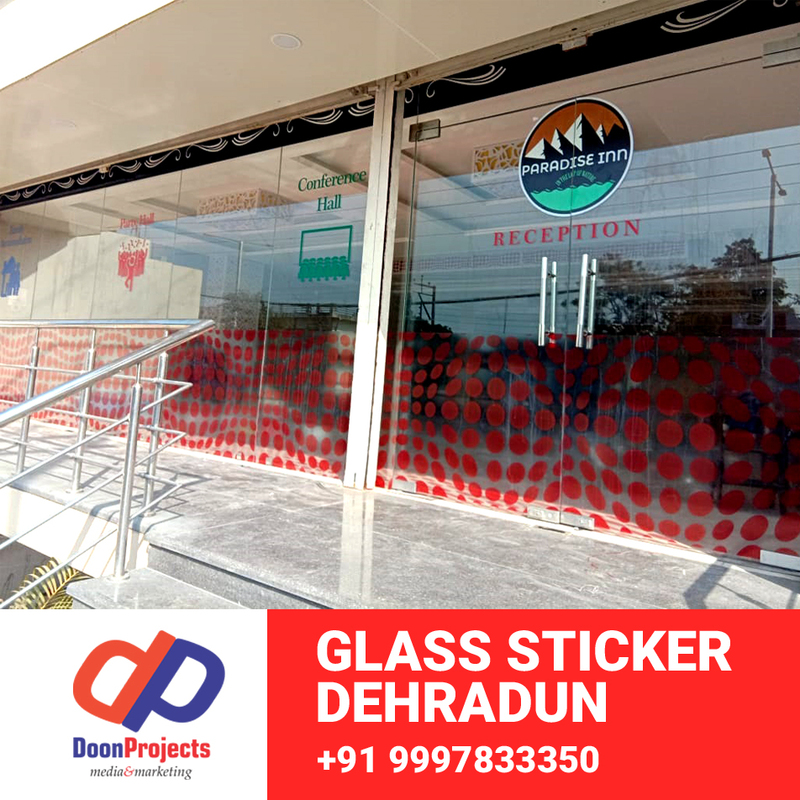 We have used LG vinyl film for glass sticker. You can see the bright sticker on Toons glass. 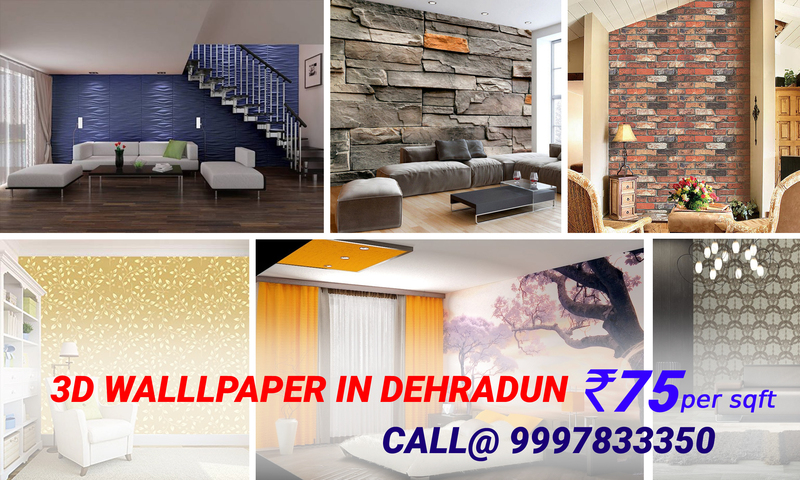 Wallpaper Printing for Showroom in Dehradun. Sunboard pasted from inside, best quality 3M Vinyl used in this work. 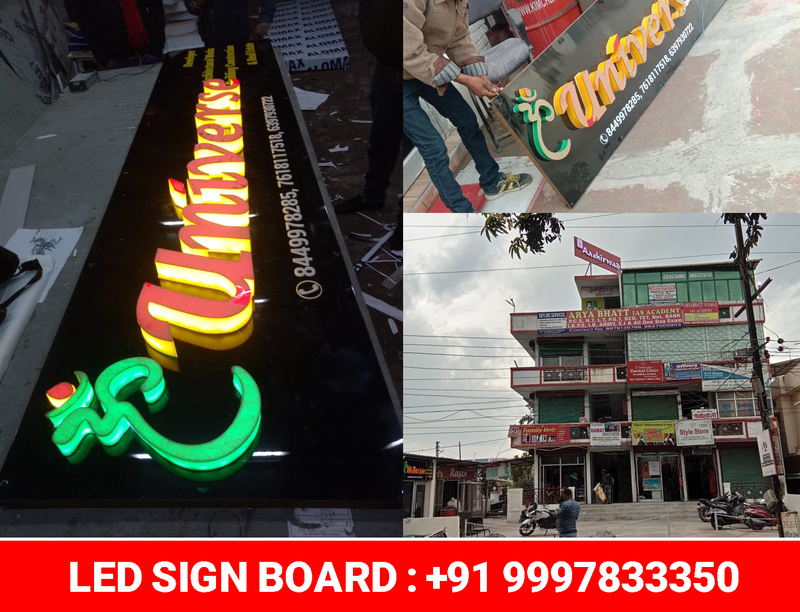 Installed Best Quality LED Sign Board in Rajpur Road Showroom. Acrylic used on front and sides with chrome finish with reflectors inside. 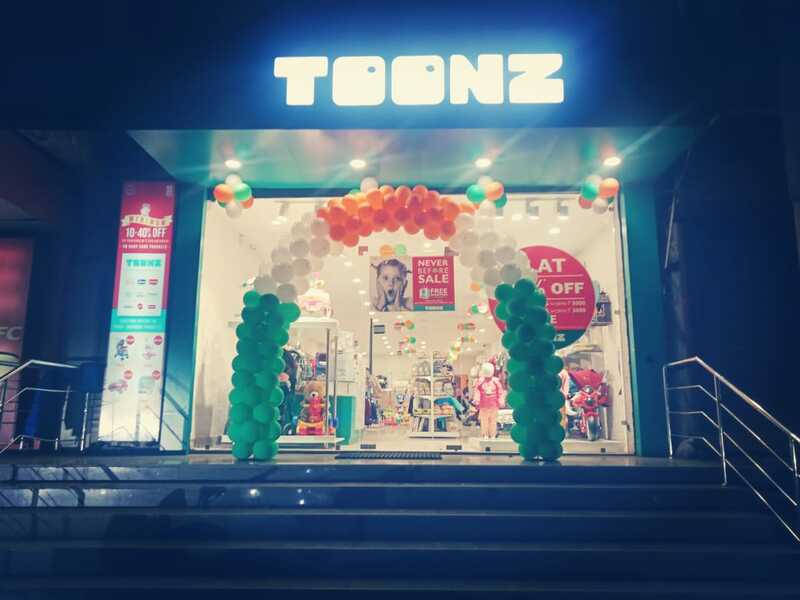 The Mumbai-based Toonz company gave us designs and also gave the standard of what material to use in it. In this we have used the material of 3M company for the branding inside. In which the Sunboard is pasted from the back separately. Which means that the wallpaper will last longer. 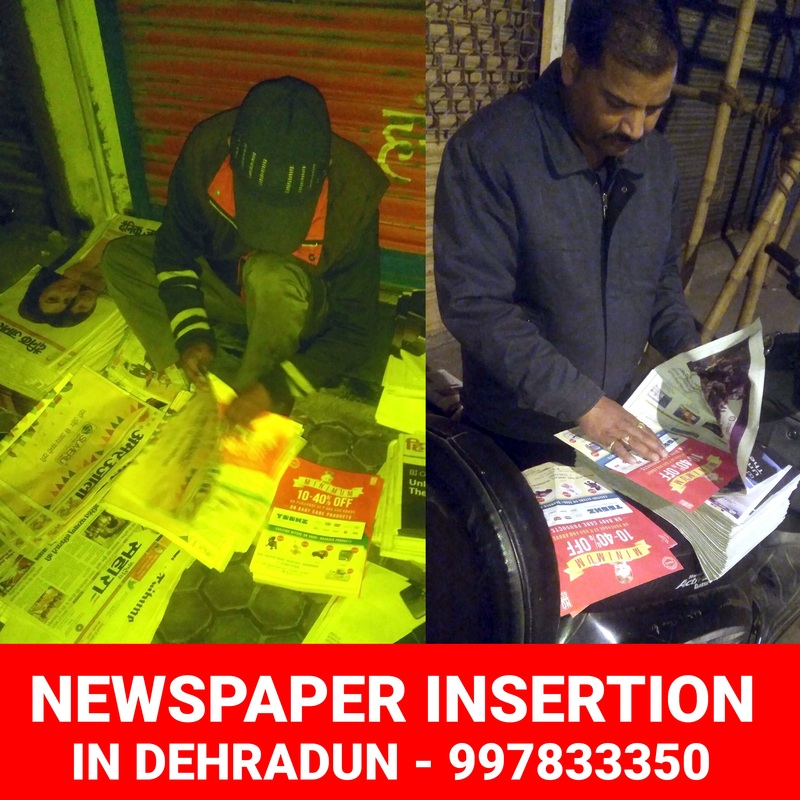 In this we also put two hoardings on Vasant Vihar and Rajpur Road, along with their pamphlet distributed in school and also made Newspaper Insertion. 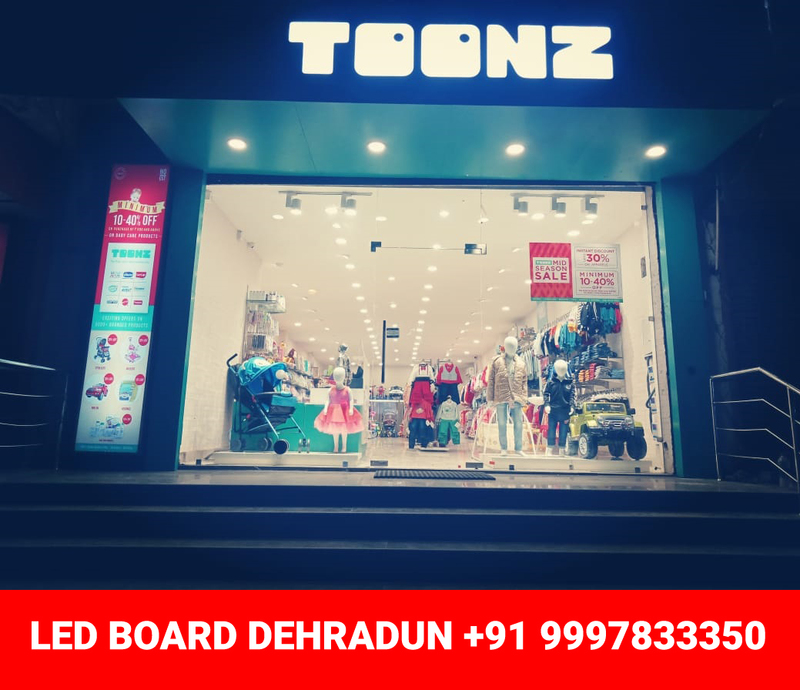 We have distributed pamphlets, tickets, gift-vouchers for Toonz Dehradun in Reputed Institutions and in front of Pacific Mall. 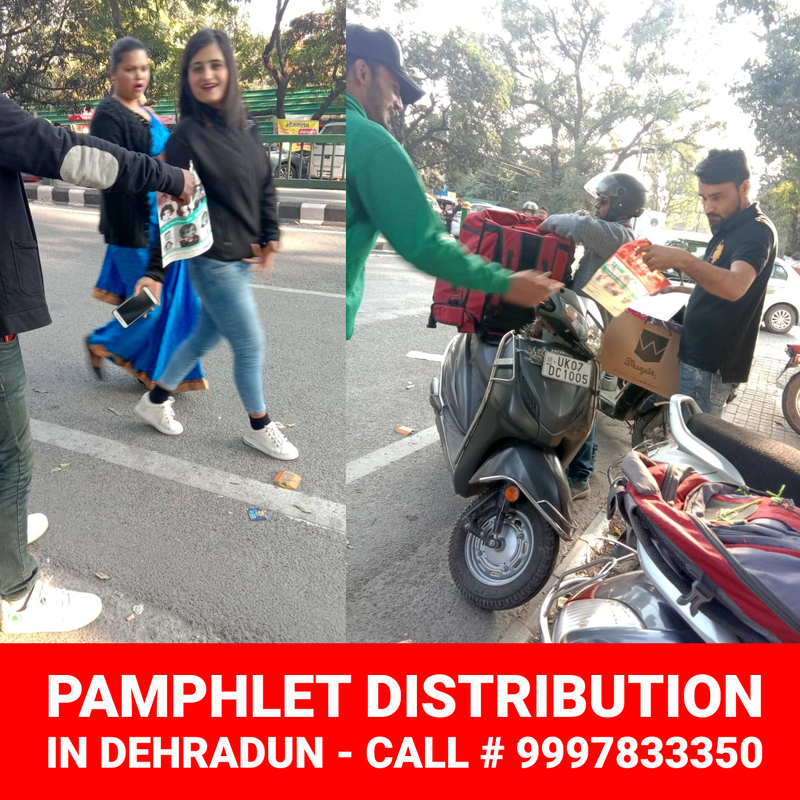 We have arranged to distribute flyers, pamphlets and gift vouchers in posh areas of Dehradun like Rajpur Road, Canal Road, Dalanwala, EC Road, GMS Road, Vasan Vihar, etc..
We are supporting Toonz restaurant with 360 marketing solutions. It was very nice to work with local owner Amit ji, he is a very settled person. There was no problem in cordination with the direct company. 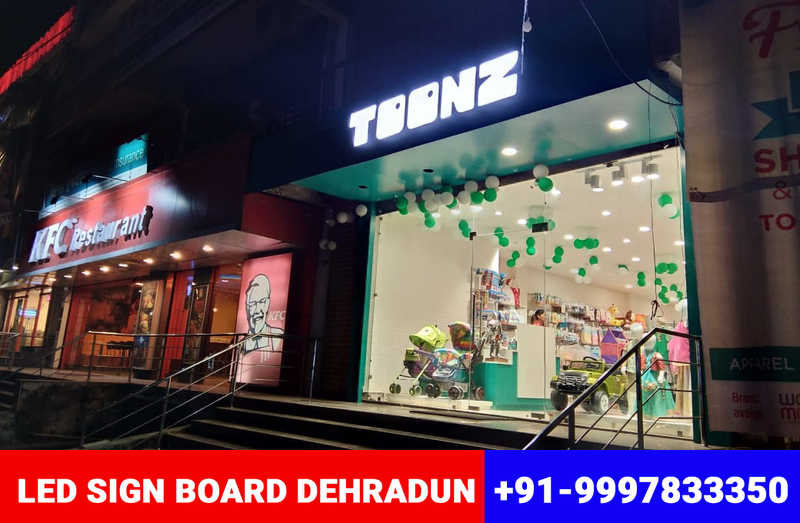 Mr. Dinesh, who handles the marketing of Toonz, handled this work very well.